If you're a music lover like me, then you must find it hard to live a day without music. Music is the best friend who shares emotions, fills the silence during awkward first dates and helps you avoid listening to some political rant while commuting to work. Since the rise of digital, the music has become more mobile than ever, letting us listen to it without carrying cassette recorders and CD-players. When it comes to discussing streaming services, the first associations are often Spotify and Apple Music. However, we should remember that it's an area where majors can be easily pushed out by newcomers. I can hardly call TIDAL a newcomer, but for some unknown reason, this service is usually left aside. TIDAL was initially launched in 2014 and later purchased by a company owned by Jay-Z. What differs TIDAL from most music streaming is that it offers lossless audio and music videos (more on that below). On the other hand, there's also a newcomer to the music market which works on the system of cloud streaming. And that's my personal favorite which I'm gonna tell you about. VOX Music Player with Premium Features. 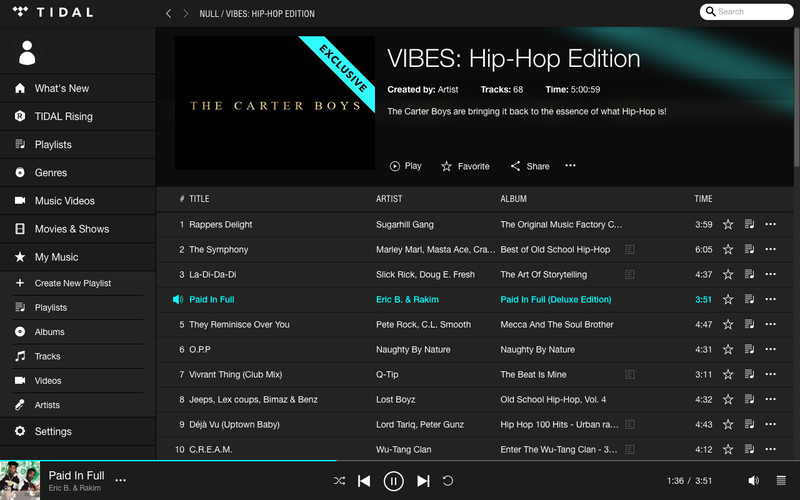 So it's TIDAL vs VOX Cloud Player and we're starting off with TIDAL's pros and cons. As well as Apple Music, TIDAL has some locked in artists like Beyoncé, Rihanna, Arcade Fire and others which means you can get access to their content earlier than anyone else. You get notifications whenever there's a new release, so you can be sure you won't miss anything hot. TIDAL also offers exclusive playlists created by Jay-Z himself, and by other artists, and even if you don't like him as a musician you can't deny he knows a lot about music. This includes playlists based on your mood, music for different occasions, various genres and personalized playlists based on the music you most often listen to. 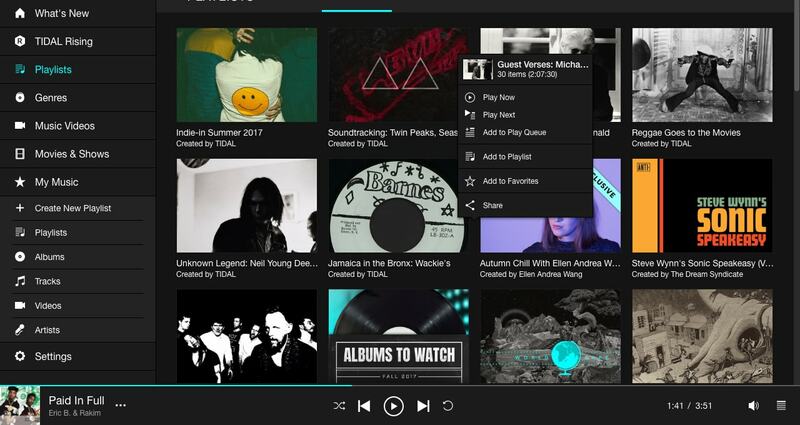 Unlike other playlists, the ones in TIDAL often include some unknown artists so it's a great way to discover new artists. And not just music videos, but converts, as well. So if you're enjoying some artists, TIDAL will offer you to check their live performances, providing they have some. 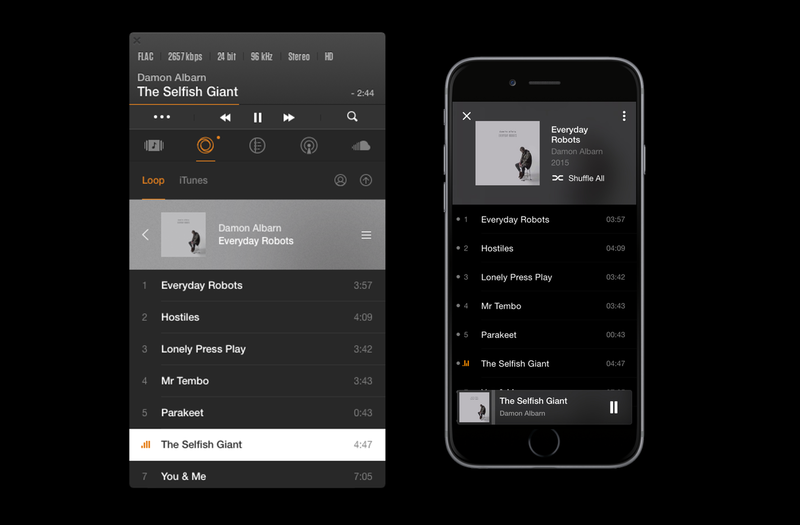 One of TIDAL's main feature is that it offers a lossless Hi-Fi tier which allows you to listen to the quality better than regular MP3, for additional fees, of course. A happy day for audiophiles. To enjoy lossless audio you will have to pay additional £10, so it's £20 in total. Is it worth the CD quality? As well as an advantage, there's also the dark side of playlists. 90% of playlists are created by either TIDAL or some artists, so there's too little real people integration. Hi-Fi subscription might not be an option unless you have speedy Internet or a constant connection to Wi-Fi. Remember that lossless audio takes more space than lossy, thus takes more time to buffer. It may not sound good, but it's very difficult to share music via TIDAL, because...well...nobody uses it (4.2 m. users worldwide). So regarding social integration, there are far better services. VOX Cloud is a music cloud storage that works with VOX Music Player. Having both, you can store and play all your music collection regardless of audio formats of file's size. As I told you before, VOX Cloud service works not like ordinary streaming services, but as a cloud streamer, which means that you listen to your music from the cloud. And the quality of your files can be far better than TIDAL's Hi-Fi. How is VOX Cloud different from other streaming apps? VOX Cloud is an UNLIMITED music cloud storage. You can upload thousands and millions of tracks and don't worry about the space – VOX Cloud can keep everything. The more you upload, the more music is available. But just think about the quality. Is it worth paying £20 for the CD quality when you can pay twice less with no restriction on quality whatsoever? Not to say about Premium 320 kbps MP3, which is no good at all. VOX Cloud is one of few ways to listen to Hi-Res music since you can upload FLAC, ALAC, WAV, PCM, AIFF and others without any compression or conversion. It means that if you upload 5000 kbps/192kHz FLAC file – that's exactly what you're going to hear. How to start using VOX features? First, download VOX Music Player for MAC and iPhone. Sign up for VOX account. Go premium, upload music and when you've done it, all your music is available on your Mac and iPhone. You can listen to it anytime, anywhere, and the quality is going to be original. If you're not that good at creating playlists, you can connect your SoundCloud account to combine music in one unique playlist. It's the key factor that makes it possible to listen to Hi-Res music and not worry about the HDD space. Quality has finally taken over the quantity and people now pay more attention to what quality listen to. VOX allows you to have all your music in a cloud. I personally have a huge Hi-Res collection which I've been listening to for over a year, and whenever I want something new I just go to SoundCloud tab. The list is too long to outline here, but among VOX users the most popular are FLAC, WAV, ALAC, WAV, AIFF, AAF, APE, and CUE. I don't really think you can find a song of a format not supported by VOX. What does it mean "synchronization"? It means that when you upload some music into cloud it's automatically available on all devices connected to your VOX account. And there are no limits to the number of devices as well. That's the best way to listen to Hi-Res music on iPhone. This is a vital feature because no matter how big your music collection is, you always want more music. VOX Player features integration with SoundCloud, Spotify and Last.fm. You can add songs from any of these services to your collection and Last.fm helps you keep your listening stats up-to-date. To stream from VOX Cloud you need to have an active Internet connection (3G, 4G, LTE) or Wi-Fi connection. For the times you're commuting in the underground or just don't have the Internet, you can download some songs in advance to listen to them offline. The quality remains original, but remember that Hi-Res files might take up too much space. VOX online radio is an additional feature than unlocks over 30,000 radio station from all over the world. The list includes local stations as well as major one like BBC One, KEXP, KPCC and others. 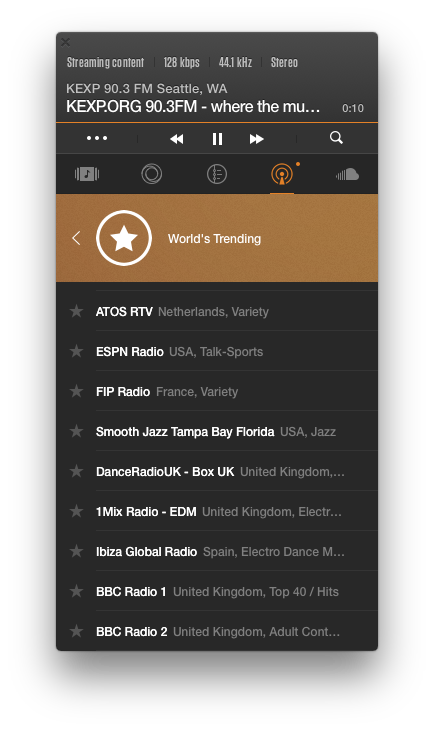 Unlike other streaming services, VOX services are available worldwide. It's a perfect solution if you travel a lot of just live outside Europe and the Americas. Both features improve the sound when listening to music with headphones. The equalizer includes over 20 presets for various genres and BS2B makes your headphones create studio-like sound. I must say it's not that difficult as it may seem. The upload is fast and easy. Using VOX for Mac you just drag and drop files to the player and they are on cloud or you can use the web upload. I uploaded 5 GB of Hi-Res music in 7 mins. It's a good price for top-quality music. I definitely suggest you start using VOX and VOX Premium with all features. The main reason is the quality appealing design. I have about 150 Hi-Res albums and a connected SoundCloud account to discover new music and there's nothing else I can ask for. It's perfect.